← Woah… that was a long time! Clean Eating Summer School: Know the rules! For those that have been reading my blog know that clean eating is a way of life. It’s not a quick fix diet, it’s not an intense program for you to lose 10 pounds in a week and it’s not temporary. It’s a lifestyle. The pros of eating clean? You will start to feel better, lose weight naturally, your skin will glow, you will have sustained energy and you will start to love your life again! Who wouldn’t want that?! Even though the concept of clean eating is very simple, taking the steps to start can be very intimidating to those that are new to the idea and concept. Here are my top rules that I live by for clean eating. 1 – Clean Eating is a way of life! No Diet. No Miracle Pill. No starvation. My motto is: Eat from the Earth. This translates to eating whole foods in their most natural state. Start slow and evaluate one meal at a time. Start with breakfast. Make a habit of eating a very “earthy” breakfast. Fresh smoothies, oats with a splash of pure maple syrup and nut butter, eggs with spinach or sprouted toast with nut butter and an apple are great choices. Eating foods in their most natural state not only taste better but they ARE better for you. And remember: this is NOT a diet! Changing the way you eat can take some time. However, once you are used to a certain way you will never go back to your old eating habits again! 2 – Be a veghead! I use the 80/20 rule – 80% produce and 20% other. Out of that 80% I eat mostly raw fruits and vegetables, too. The “other” could be plant based protein, grains, beans and legumes, oats, eggs or organic dairy. If you eat meat then your meat would fall under this 20% rule as well. Why 80% produce? Fruits and vegetables are very nutrient dense and full of natural, soluble fiber. Not only are they best food for your body, they help reduce free-radicals and protect you from disease. Besides, fresh produce tastes amazing! Have you ever noticed that the inside of the store is filled with processed foods that are shelf stable? While every store is different, it’s safe to say that the outside of the aisles is where you want to do majority of your grocery shopping. This is where you will find all of that wonderful produce, bulk bin items (nuts, grains, dried fruits), meat and seafood and other fresh specialty items, like hummus and dairy. I still venture in to the middle of the store. This is where my coconut and olive oil is, dried herbs, grains, beans and legumes are. I also frequent the frozen food department because this is where I stock up on my frozen fruit for smoothies and some frozen vegetables. 4 – Bad Sugar! Get out of my food! Eating clean isn’t about avoiding anything in particular. It’s about choosing simple, unrefined foods and enjoying them. I am a “glass is half full” kind of gal! Don’t think of what you CAN’T eat, think of what you CAN eat! I will be the first to admit that I have a HUGE sweet tooth. And when I start to consume too much of refined sugar then I start to CRAVE sugar even more! It is highly addictive and toxic. But this does not mean that I do not enjoy my sweets. I choose sweeteners that are fully natural and raw: dates, pure maple syrup, raw local honey and fresh ripe fruit. WARNING: most processed foods contain sugar, which equal cravings and addictions. If you want something sweet, eat cold raw dates (natures candy! ), dark chocolate, plain Greek yogurt with honey or fresh cold fruit. 5 – Hydrate Yo’ Self! 6 – Say what?! Only buy food with ingredients you can pronounce! A good general rule: If you can’t pronounce the name of a particular ingredient in the food you’re eating, say Buh-Bye! Highly processed foods are crammed full of chemicals and man-made ingredients that should not be consumed by humans, or any creature for that matter. A Better rule: only eat what you know! Which takes me back to my entire concept on clean eating – Eat from the Earth! Thank you for reading the first lesson in my Clean Eating Summer School. Next time: Ok, so NOW what do I eat? What are your questions regarding Clean Eating? Post a comment letting me know and I will try to incorporate it into my post! This entry was posted in clean eating and tagged basics, clean eating, health, summer school. Bookmark the permalink. 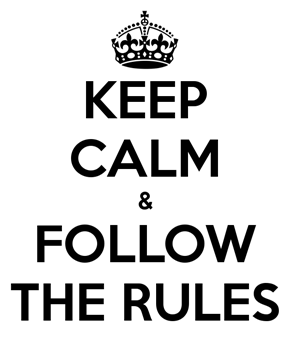 2 Responses to Clean Eating Summer School: Know the rules!